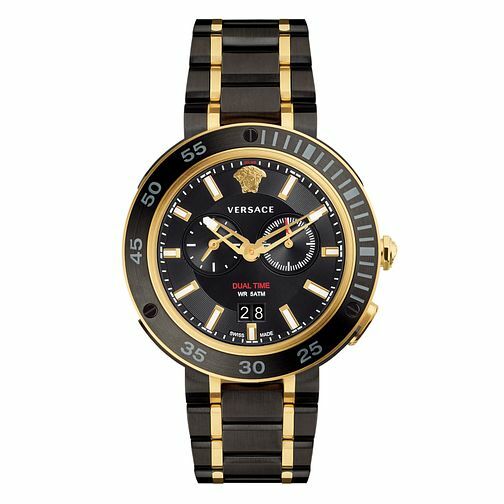 This bold two colour V-Extreme Versace watch is sure to make a impression. The contrast of black and gold give this timepiece an opulent finish fit for the fashionable man. The watch sports two sub dials and a date window. Take your style up an extra notch with this exquisite piece on your wrist.